When I was younger, I used to imagine that I was really an English Lady. Spoiler alert: I'm not. In fact, if you believe in previous lives, I probably wasn't an English Lady then either; I'm more likely to have been a scullery maid. But how cool would it be to suddenly and completely unexpectedly inherit an ancient English title, especially in this day and age? 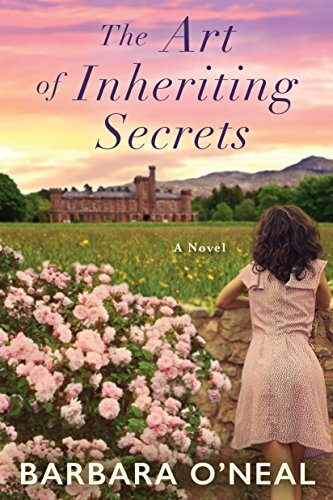 That is just one of the surprising things that happens to Olivia Shaw in Barbara O'Neal's newest novel, The Art of Inheriting Secrets. When Olivia Shaw's mother dies, Olivia is stunned to find out that she is now the Countess of Rosemere and the possessor of a venerable but crumbling manor home and estate in England. Still on a leave of absence from her editorial job at a renowned food magazine after a terrible car accident and grieving the loss of her beloved mother, Olivia heads to England to try and uncover the mystery surrounding her mother and where she came from as well as to decide what to do with her unexpected inheritance. When she gets to the small village where Rosemere Priory is situated, she finds conflicting responses to her presence from the locals and starts to uncover more secrets than she could ever have imagined. 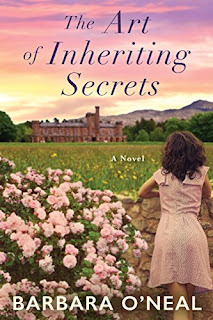 As she is grappling with who she can trust while she determines whether she should restore the once gorgeous priory or sell it, she is also faced with more personal issues: her fresh grief over her loss of her mother, an attraction to a handsome British Indian man in the village whose family has long been connected to hers, and the hard, sad decision that her long term relationship with her fiance no longer feeds her soul the way it should. The novel has an almost fairy tale feel to it with the falling down manor house, an air of menace surrounding the secrets, and obstacles to the love story. Olivia must overcome doubts in order to have any chance of success and to triumph over the unscrupulous people who are looking to take advantage of her and her family's long abandonment of the property. This is the story of restoration, not just of a house but of confidence. It is a tale of looking to the future, acknowledging the bad in the past but taking the good forward and building a new life. It is about second chances, family skeletons, and uncovering secrets but also of keeping the secrets that are important to keep. It is a tale of love, hidden and forbidden but also of love coming to light. The story is engaging and keeps the reader turning pages for sure, curious as to how Olivia is going to handle each curve ball thrown her way. The love story threatens to overwhelm the rest of the story but in the end all of the threads wind together tightly and in a most satisfying way. There were a few minor bits that didn't fulfill expectations, such as the several mentions of how hard it was going to be to get restoration and renovation work past Mrs. Hortense Stonebridge on the local council since the house was a Grade I listed property but nothing ever came of this. But over all, this was a quick and enjoyable read that will certainly please readers of women's fiction. 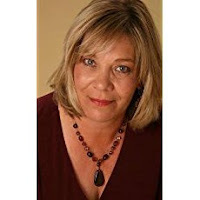 For more information about Barbara O'Neal and the book, check out her webpage, read her blog, like her on Facebook, and follow her on Twitter or Instagram. Check out the book's Goodreads page, follow the rest of the blog tour, or look at the reviews for others' thoughts and opinions on the book. Thanks to Lisa from TLC Book Tours and Lake Union for sending me a copy of the book for review.